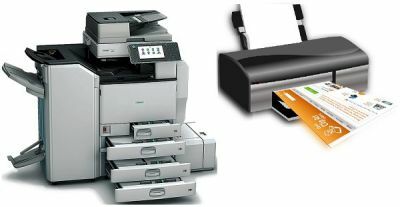 Photocopiers are very significant in assuring tasks are completed quickly. Most of the offices cannot imagine the work environment to be complete without a photo copier. With its photocopying technology, many copies of documents pertaining to the office can be generated in no time. No other machine can outsmart in its capability of duplicating a huge number of copies for a large number of employees in the organization. You can hire or lease photocopiers for offices, homes or schools with Photocopier Rental. Photocopiers do not use the same type of ink as the desktop printers do. To print a certain document, they often use a kind of powdered ink, which can make more copies with less ink consumed. Usually with a desktop printer, much time, money and effort will have to be spent but a photocopier works smarter with lesser effort put in and more outcomes achieved at the same time. Photocopiers are very convenient to use. It is simple to get multiple copies of a document in the quickest time without much technical expertise. Just a few simple instructions would do. By placing the document in the machine, turning it on and pressing the button would initiate the task. As many number of copies you require, can be generated instantly. The copies attained through photocopiers are free of any ink so there will be no chance for stains when hands rub against the photo copies. Usually, other printers might be causing this kind of inconvenience. At the press of a button, a big pile of copies will lie in front of you with the amazing photo copiers. For printing needs of the entire office, a photo copier would offer a quick and effective solution saving time, effort and money. What more would you need for your printing needs? We at VRS Technologies offer for rent or lease the photo copiers that you want with our photocopier rental. We have a huge stock of printers set at the most competitive prices for you. All you have to do is whatever may be the need calling you for a photocopier, remember us. Call VRS Technologies at +971 55 5182748 or refer to our website www.vrscomputers.com for our services.